For only P200.00, a customer can buy a pair of toy bears, where one goes to the customer and the other is left for donation. To make the donation more personal and heartwarming, customers can write down their messages together with their name on the card that are attached to the bears. All collected toy bears will be donated to SM’s chosen beneficiaries. These beneficiaries range from orphanages, child community centers or related non-government organization. 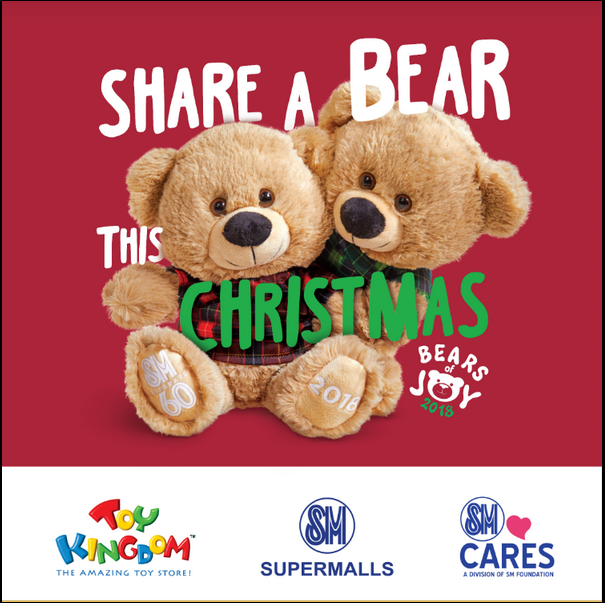 The Bears of Joy is available until December 25, 2018 at the toy kingdom designated booths at the ground level of SM City Marilao and SM City Baliwag, and at the upper level of SM City San Jose Del Monte. Share a Merry SM Christmas this year to children in need with SM Bears of Joy!